COULD YOU SIT HERE ALL DAY? Although I’ve seen more comfortable seats, here is a picture of an actual Chinese Mah Jongg table and stools sent to us by our dear friend Peggy; the photos were taken during her recent trip to China. 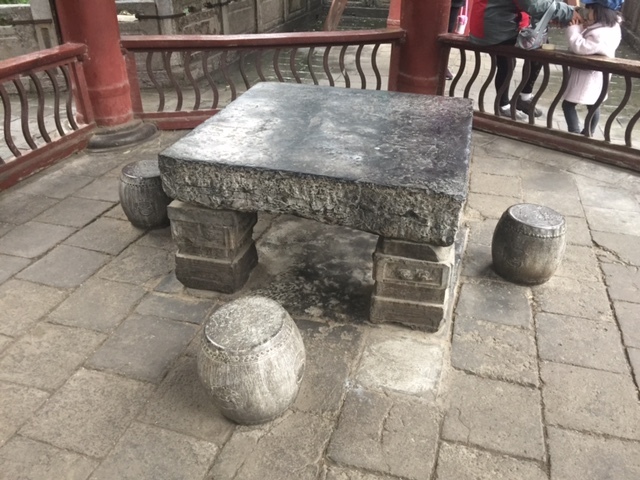 This outdoor Mah Jongg table was found in the Grand Mosque in Xian, China. And, while in Shanghai, Peggy was able to watch an actual game in progress. Sounds as if Peggy had a great time on her trip to China – can’t wait to get all the details and hopefully some more photos to share with you. This entry was posted in Mah Jongg and Me and tagged China, mah jongg, mahjong, Shanghai, Xian on November 9, 2016 by Mah Jongg and Me. 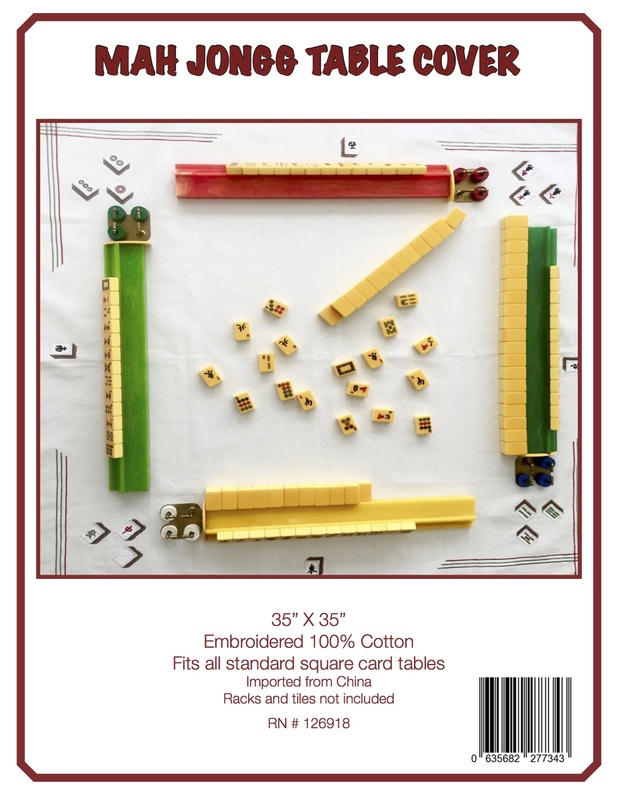 This entry was posted in Mah Jongg and Me and tagged China, Deshler Purchasing Agency, etsy, Gementia13Jewels, mah jongg, pinterest, Shanghai on October 13, 2014 by Mah Jongg and Me. 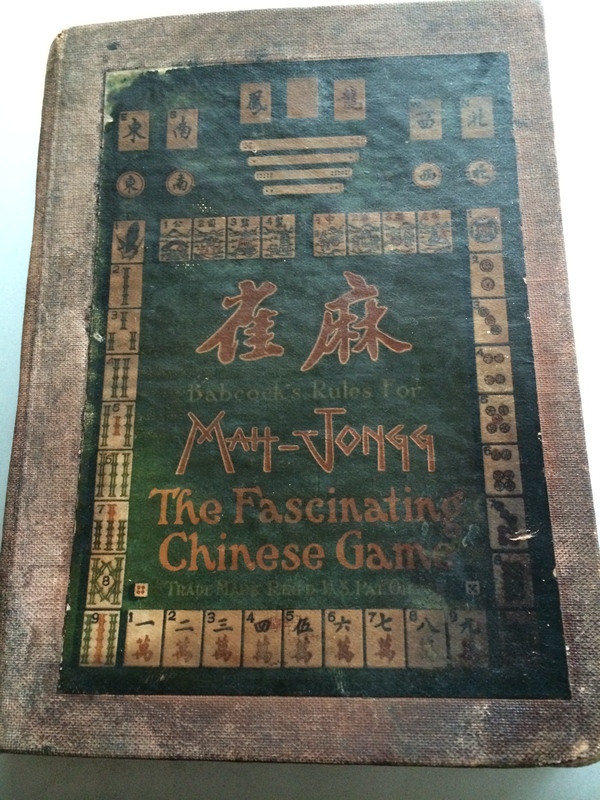 Today’s posting is about a book written by the man we all can thank for our fun times at the Mah Jongg table. In 1912 an American by the name of Joseph P. Babcock was sent to China as a representative of the Standard Oil Company. 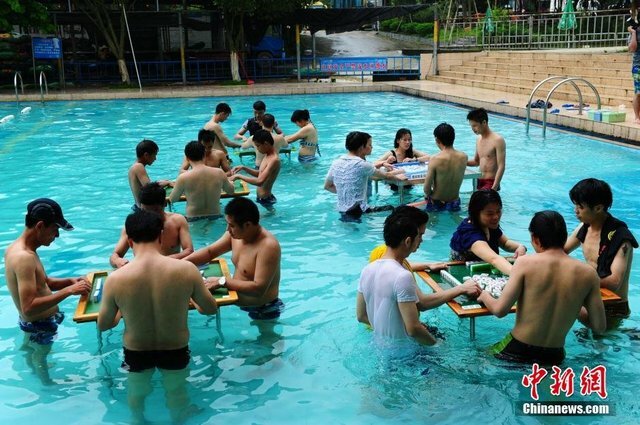 Babcock and his wife became enamored with the Chinese tile game that was all the rage among the ex-pats living in Shanghai. 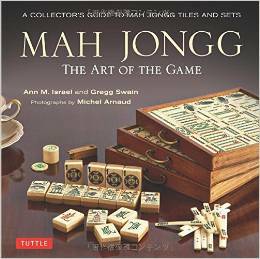 An entrepreneur by nature, he created a simplified version of the game, called it Mah-Jongg, and brought it to the United States. He then wrote what was at that time the definitive rule book for the game and called it Babcock’s Rules for Mah-Jongg, which quickly became known simply as The Red Book. This entry was posted in Mah Jongg and Me and tagged ex-pats, Joseph P. Babcock, mah jongg, Shanghai, Standard Oil Company, The Red Book of Rules, United States on August 23, 2014 by Mah Jongg and Me. 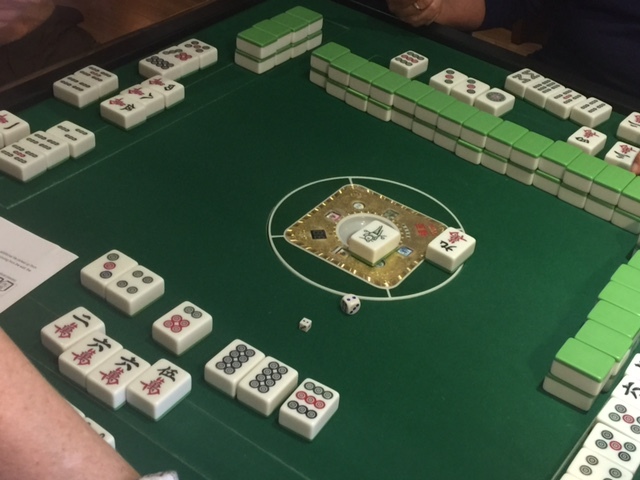 Next up in our series of Yahoo Contributor Network articles is one written in 2007 on the history of the game of Mah Jongg. 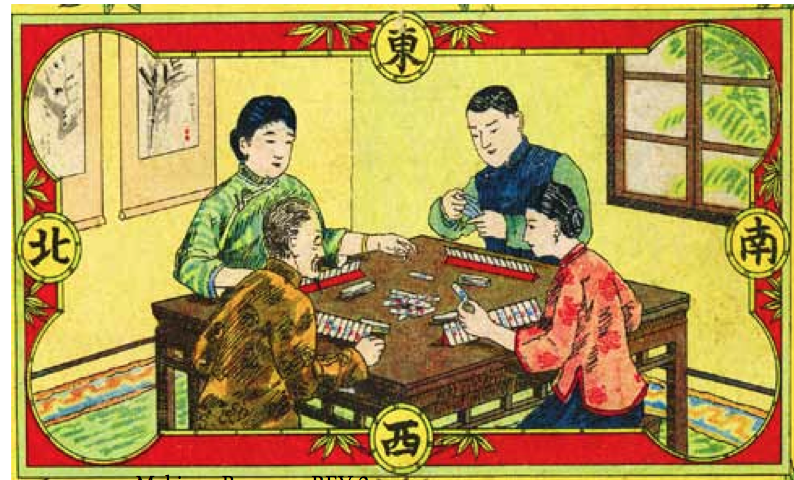 Although I have heard many people say that this game dates back to the time of Confucius (551–479 BC), there is much evidence showing that the game only dates back to a little over 100 years. No matter how old this game may be, I think you will find the following article to be of interest. In fact, anything about our beloved game always seems to be of interest to me! may, in fact, be significantly older than that. This entry was posted in Mah Jongg and Me and tagged Benevolence, Cardinal Virtues, China, Chinese, Confucius, Cultural Revolution, dragons, fact, fiction, Filial Piety, history, Joseph Babcock, mah jongg, mythology, rituals, Shanghai, Sincerity, Standard Oil on May 13, 2014 by Mah Jongg and Me.